Teachers in America are under attack by the very organization that was set up to protect them. There are stories nation wide of teachers who have been harassed and intimidated by the Teachers Unions. But now that the Janus Case has passed, those teachers now have the freedom to leave the union but still many do not. 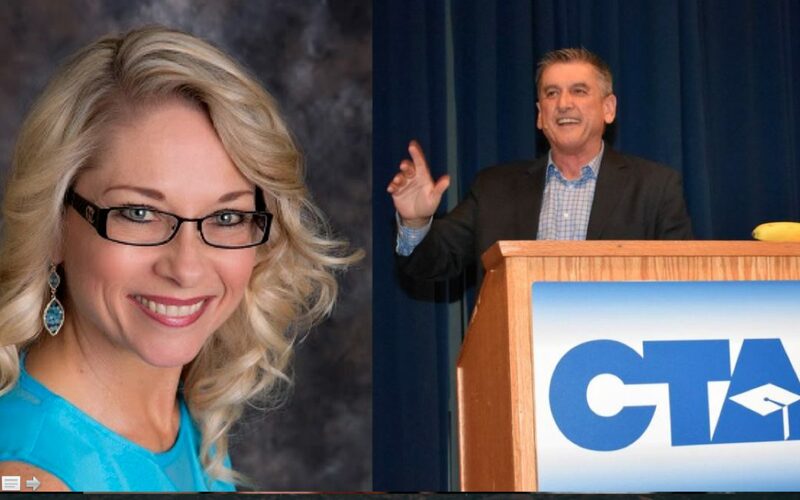 Here on Educate For Life today Kevin has as his guest Rebecca Friedricks to help break it all down and explain what is actually going on. Rebecca Friedrichs has been an elementary school educator in Southern California for 28 years. Since the first day of her career in 1988, she’s been concerned about the policies and politics of the teachers’ union she’s forced to financially support. Although she “opted out” of the political dues for the first ten years of her career, she later joined as a full member in order to gain a voice because “agency fee payers” lose all rights of membership, including the right to voice their opinions and vote within collective bargaining. She served on her local union board for three years with hopes that union representatives would listen to common sense and reason in order to bring about positive change in her district and in union expenditures of members’ dues. She discovered that many union representatives agreed with her concerns, but to her disappointment, she was unable to make any positive impact because even the union representatives were afraid to speak up to union bosses. Rebecca knows from personal experience that even union representatives have no real voice in union policies, and are bullied and silenced if they dare to question the unions’ narrow views.